The Gunnison Country Guide Service has just completed our 38th year. We are eagerly anticipating our 39th season of guiding elk and mule deer hunters, riding and packing good horses and mules, laughing and enjoying warm cook tents, and all of the adventure that comes with wilderness horseback hunting. We look forward to having you join us for a great time. GUIDED HUNTS: In the 2016 season our guided hunts will be conducted from a base camp located at the end of a rough jeep road in the Fossil Ridge Recreation Management Area. 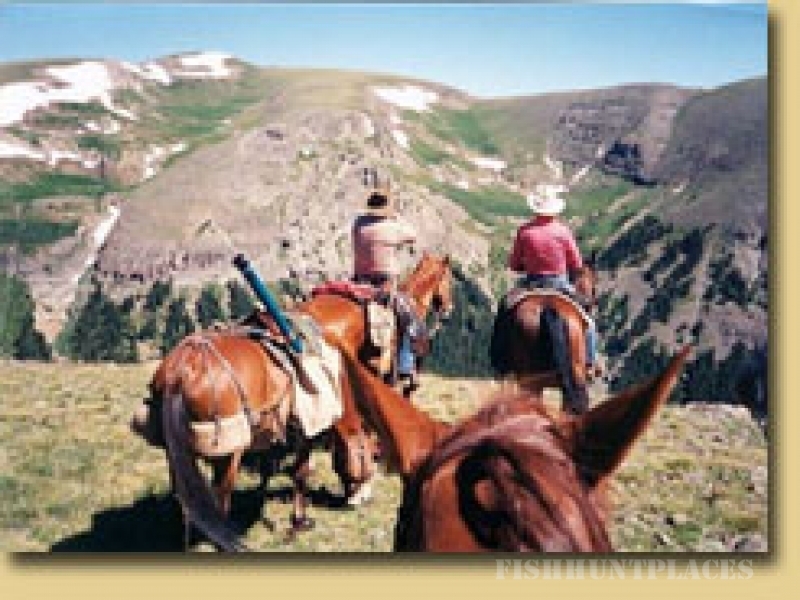 From this camp we can hunt on horseback into the roadless parts of the Management Area as well as the Fossil Ridge Wilderness Area where the use of motorized travel and mechanized equipment is prohibited. Plus, we have the flexibility and option to use 4wd vehicles to access an even larger hunt area. The camp features heavy duty, spacious wall tents with wood burning stoves inside for heat. The sleeping tents include sturdy cots with foam pads and lanterns for lighting. All meals are prepared and served in a cook tent provided with seating, tables and counters. 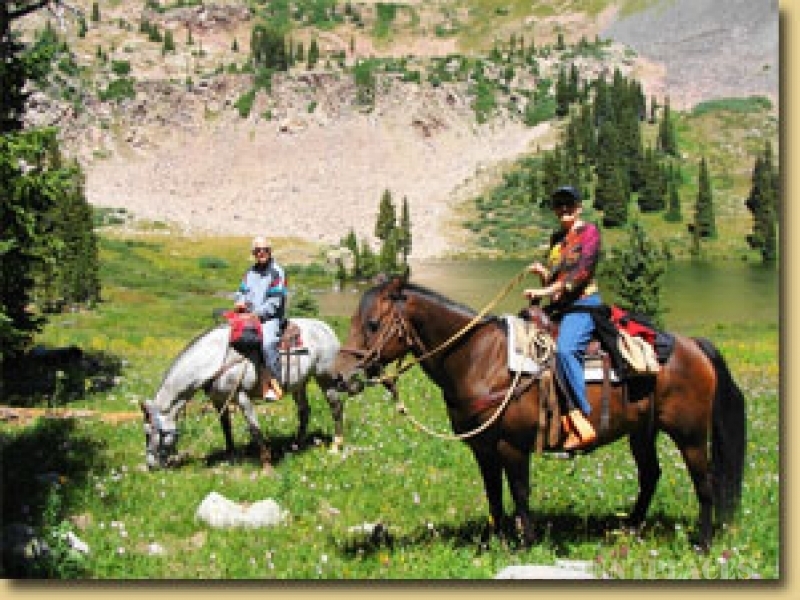 Riding horses are available to be used daily to access hunting areas. One guide per each two hunters is provided or you may upgrade to one on one guide service. The packing out of harvested game is included. This camp is situated at an elevation near 10,000 feet.